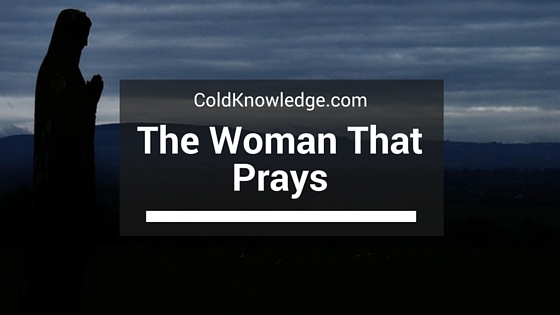 There is a woman out there that's just for me; she's always praying. See there are a few things in this world that I purely enjoy without any kind of consequence and church is one of those things. I don't talk about little to at all on this blog because there are a lot of people from a lot of different faiths that frequent the site and I don't want to seem like I'm pushing my views off on them. Plus I'm one of those people that think you can learn a lot from other religions without having to compromise yours at all. There are many things that I take from the Buddhist religion, right along with Muslim, Catholics and Hindu's. Because at the end of the day there are a ton of things that you don't know about this world and there are a ton of things that can better you that is outside of your safe zone. Well as much as I'm respectful to other religions, in this post they have to take a backseat to mine. There hasn't been a time in my life where God hasn't walked with me. I've literally been in situations where I look back and I realize how lucky I am to walk away with my life intact. There are times where I was literally at a dead in with all my options exhausted and I turned around to a door that was open. There were times where I was so mentally, physically, spiritually and emotionally drained that I didn't want to go on, but out of nowhere the sun shined and like Superman, I felt a dose of energy come over me and make me better, that was all God. Regardless of how other people may feel about him, how they lash out because they don't understand the lessons that he tries to teach that makes people better and the many times he reminds us that it's on his time, not ours. And the one thing that he does so well, just for us, is making someone that's a perfect fit one another. That's why I know for a fact that somewhere in this world there's a young woman on her hands and knees, praying. She's praying that she be bought through the storm that she's currently in, that she be bought into a better life, nothing major, just a better tomorrow. Little does she know that she's also asking God for a man that will love her unconditionally and take care of all her needs outside of those that she can take care of herself. That's where I come into play where God gives me all of this adversity, to build my character. Without this adversity, struggle and turbulent times, I'm not going to be fit to lead that woman who's going through the same thing as I am right now. In order to lead a woman of great moral character and soul filled with love, you have to know what the bottom looks like so you can keep her away from it, should she straddle to close. So when I say that when a woman prays for a better tomorrow she's also praying for me to make it through the storm so I can show up and help show her a life better than what yesterday looked like. So when I'm down and struggling and my heart is filled with pain and agony, I suddenly feel a rush of joy and happiness that I couldn't explain, but now I know it's that woman who's praying for my safe travel across that dangerous sea. Because at the end of the voyage I can count on her being on the beach with the sun on her back ready to greet me at home.